This is a very special post because it officially marks the 100th Kitchen Swagger recipe! I thought the occasion called for a celebratory drink, so Patty and I set out to create an original cocktail in honor of our mini milestone. Because of our intrigue with classic cocktails, we wanted to come up with something that had a vintage feel. Patty originally was looking for a 100 year old cocktail we could feature, but we couldn’t quite find anything. We did come across a very rare, and famous cocktail bible that was actually published in 1917, 100 years old this year. The book is called Recipes for Mixed Drinks, by Hugo R. Ensslin, the head bartender of a New York City Hotel. The 75 page book was written as a simple guide of current popular cocktails served in New York City at the time. In 1917, you could buy a copy directly from Ensslin for 50 cents. The Washington Post actually called it the most influential cocktail book to date, because it accurately portrays what people were drinking during the Prohibition era. It was also the last published cocktail book before Prohibition started. Ensslin’s book got us to thinking. 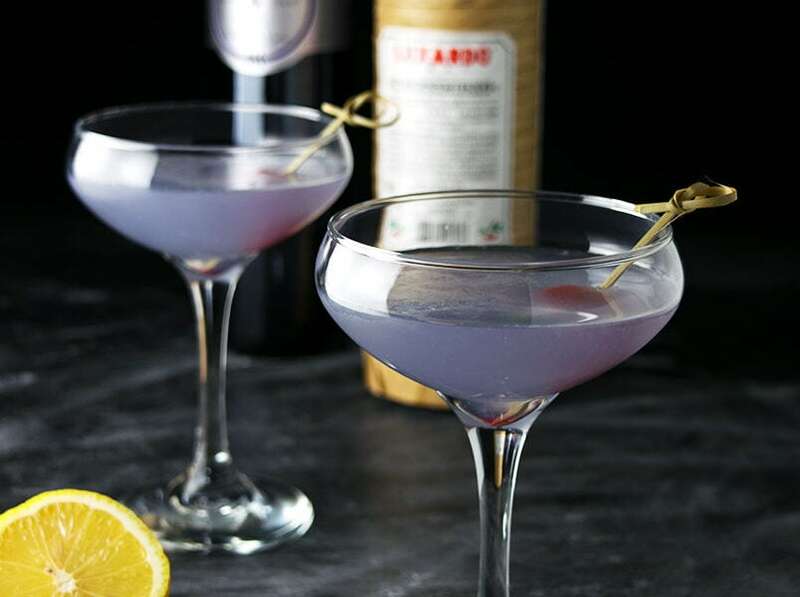 Many of the early 20th century cocktails contained maraschino liqueur (see Aviation), an interesting cherry liqueur made from sour Marasca cherries. Further, on page 12 there is a classic champagne cocktail that is still popular today. Champagne is the perfect celebratory drink, so we decided it would be the perfect foundation of our celebratory cocktail. After nearly killing a bottle of champagne with trials, we reached our original champagne cocktail that incorporates maraschino liqueur, lemon juice, and simple syrup. The number 100 cocktail does have a very vintage feel. It’s slightly sweet, but not too sweet. 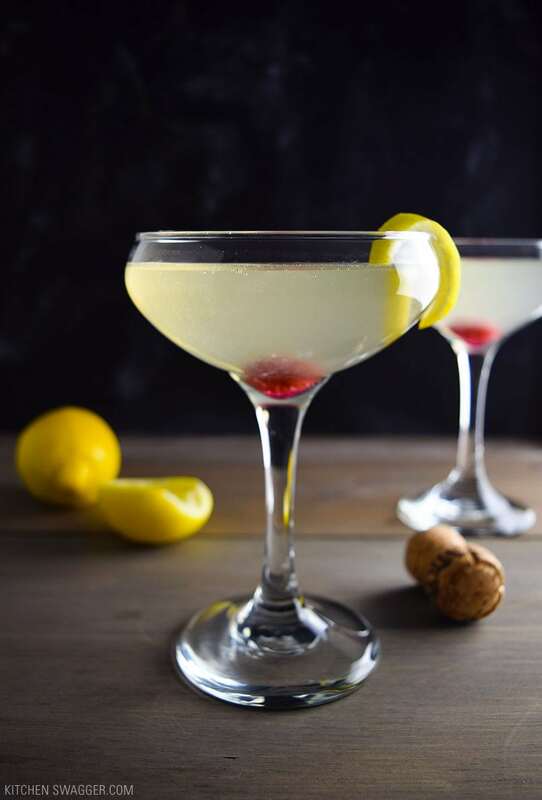 The maraschino liqueur and lemon lets you know you’re drinking more than just a glass of champagne. 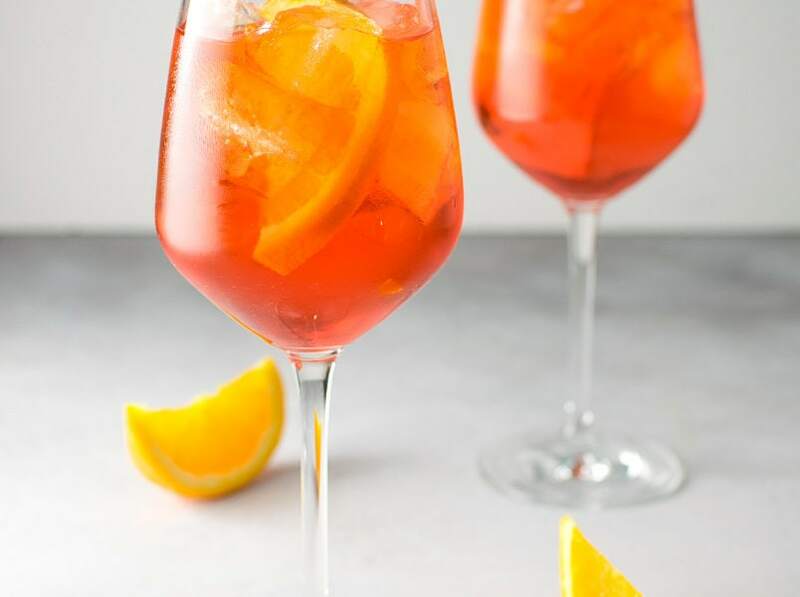 This would be the perfect drink to kickstart your cocktail party or any special occasion. So cheers to Kitchen Swagger’s 100th recipe and cheers to you, the loyal readers, for making all of this possible. Combine lemon juice, maraschino liqueur, and simple syrup in a cocktail shaker with a cup of ice. Shake vigorously for 10 seconds and strain into a champagne or martini glass. 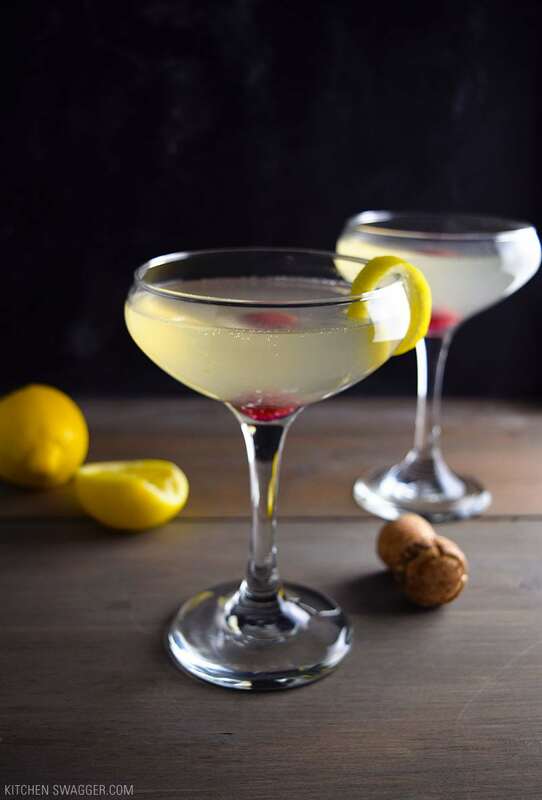 Top with chilled prosecco and garnish with a maraschino cherry and twist of lemon.